Welcome back to the official Your Loan Depot blogspace, where we offer up financial advice in the short-term and long run! For the former category, we’ll remind you that we have ten Texas payday loan locations sprinkled throughout the Lone Star State. As a reminder, our locations can be found in Texas cities that include Mansfield, Pearland, Rosenberg, Tomball, Bryan, Airline, Humble, and Conroe, among others. We do our best to be within a reasonable driving distance of those who are in need of payday loans, car title loans, and fast cash loans in Texas! Now that we’ve reminded you about how Your Loan Depot can help with some of your short-term financial needs, the rest of today’s blog will concern the long-term financial status of our readers. Yes, this is part two of a two-part series regarding personal finance practices. In part one (our last blog, which we strongly recommend you read before continuing), we discussed the need to take stock of your current financials, complete with all of your debt and interest rate. Write it down and make a plan so it’s more real. Then, and only then, can you make a specific plan about attacking your credit card debt and getting out of the red. If you remember one thing from part one, we hope that it’s the need to attack your credit card debt with everything you’ve got. That might mean living a much more meager lifestyle than you might be used to, but if you don’t want to be a slave to interest your entire life, you’ve got to gain some ground one way or another. Now, let’s dive into the financial tips we have prepared for you today! Determine Your Net Worth – It might sound like an abstract concept at first glance, but there is something to the idea of calculating all of your assets and debt to determine where you really are financially speaking. To do this, you need to add up the worth of your possessions before adding up the sum of your debt. Take the difference between these numbers (positive or negative) to determine your financial net worth. Once that’s done, you’ll have a better feel for how much work needs to be done to get you on the other side. Understand The Impact Of New Credit Accounts – We are borrowing this snippet of wisdom from Tracey Becker, the President and CEO of North Shore Advisory Inc. “Each time you get a new account that is added to your credit profile, you’re reducing your average age of credit. If you apply to new credit card offers this can have a big impact on scores quickly. Account age can be a major factor in your FICO credit scores. We have seen scores drop 60 to 100 points from opening two revolving accounts within a few months of each other. The higher the credit score, the more it drops.” Tracey is spot on. It might be tempting to open up a new credit card account to take advantage of a special offer your favorite store is offering, but there is a cost that they usually don’t tell you about. Remember that Your Loan Depot did when other payday lenders might not! Have A No-Spend Day Every Week – What is a no-spend day, you might ask? Well, you probably didn’t ask that question, seeing as how it’s fairly self-evident. However, incorporating a no-spend day into your weekly routine is a much different task than understanding it in theory. But the thing is, spending for the sake of spending is pretty easy to do when you get into the habit of it. It can almost become a mindless reflex at times, and the more you do it, the better you get at it. 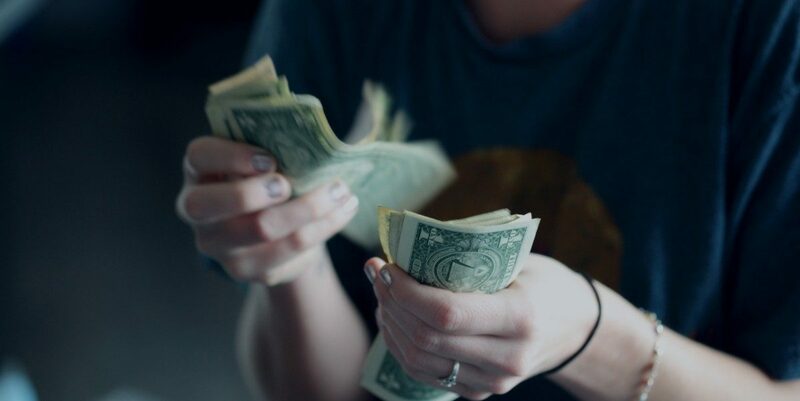 As the hit TV show True Detective put so well, “be careful what you get good at.” We’d recommend getting into the habit of not spending anything at least once per week. That means you’ll need groceries bought, a full tank of gas, and the coffee made at home! The more you do it, the better you’ll get at it — so give it a shot! Have a Daily Money Minute – Assuming you have your financial plans, budgetary goals, and everything else in place, it’s important that you stay on top of your daily spending. It’s much easier to think about not spending as much every day than it is to start taking away that morning latte, for instance. But beyond that, LearnVest CEO Alexa von Tobel, who espoused the “Money Minute” idea in the first place, swears by taking 60 seconds out of your day to make sure you are on track with your daily budget, keep track of your goal progress, and solve any immediate problems, and feel good about your trajectory! We hope you feel inspired to make some practical changes to the way you think about money and future finances! We understand that it’s a lot to take in, so don’t feel like you have to make all of these sweeping changes at once! We believe that change is possible, and by incorporating just a few of these tips each month we are confident you’ll be able to break the cycle of debt if you stay consistent. On the other hand, we get that such advice doesn’t do much for your immediate financial situation. For emergency cash in Texas, consider Your Loan Depot for payday loans, title loans, and other options! We’d love to hear from you and help explain the details of our fast cash loan process. We make things quick, efficient, and easy to understand! Contact us today.